It's sad to see booze week coming to an end. Having all this alcohol in the house was a nice excuse to get drunk while I cooked all these recipes. but you know what they always say; when one door closes, another bottle opens, or something. Right? I might still be drunk you guys. For the last recipe of the week I knew I wanted to use whiskey. 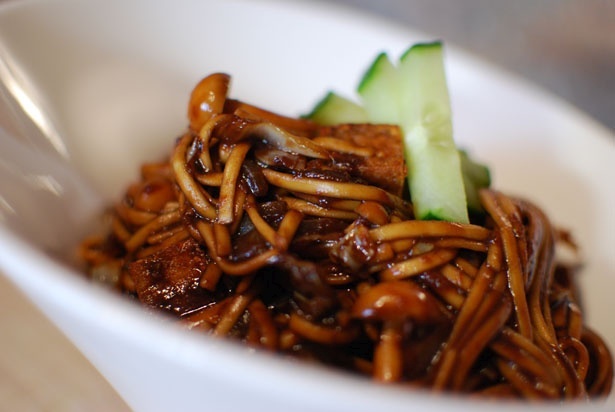 I thought of making an Asian style sour noodle dish, and then I realized that sour is a friend of whiskey in many mixed drinks. 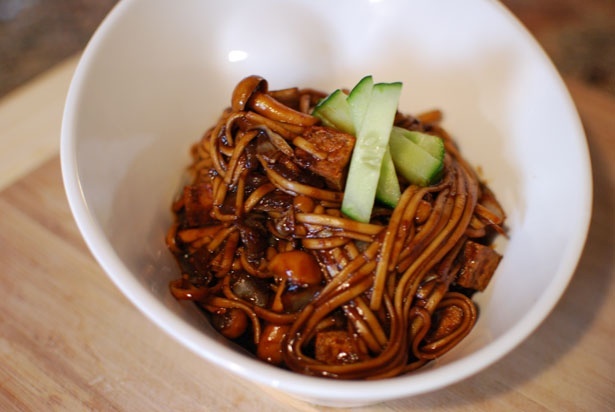 I used a classic Korean noodle dish called jajangmyun as a baseline inspiration for these whisky sour noodles. First I cooked the noodles. These type of noodles work best when you drop them into boiling water then add some cold water right away to lower the temp. 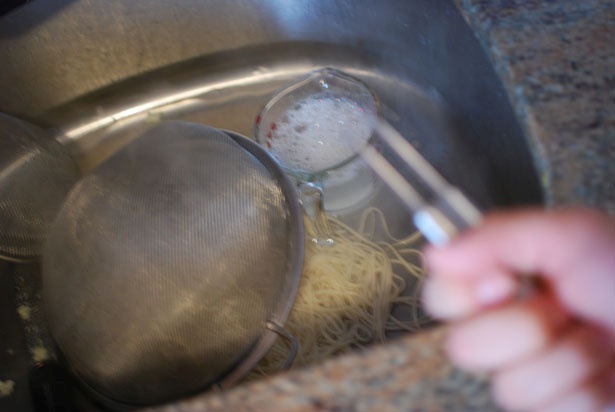 When I was straining out the noodles my strainer broke! luckily I had more noodles and could start over. 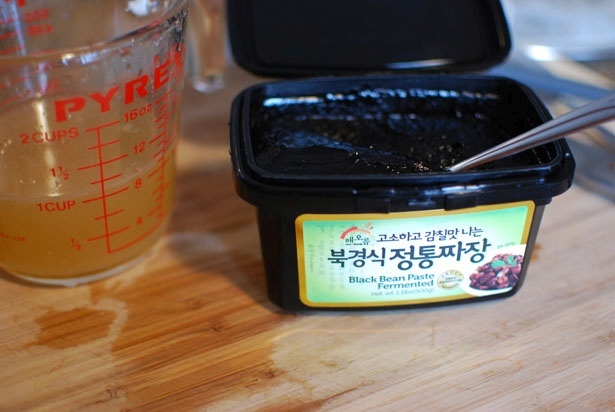 Korean fermented bean paste. This stuff is pretty awesome. Mix it with whiskey, lemon, sriracha, and honey. The final prep was to fry up some tofu. Everything ready to rock. 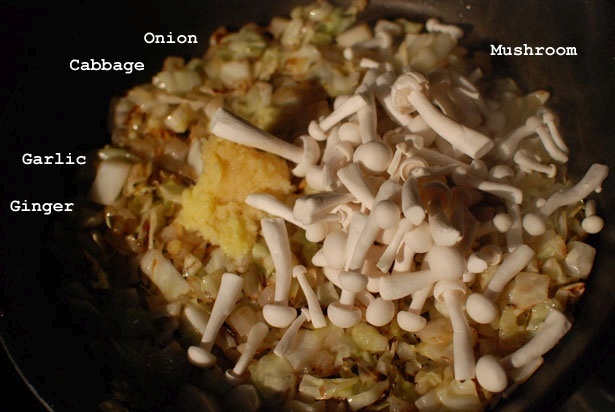 The mushrooms and garlic ginger paste go in after the onion and cabbage have softened and lightly browned on the edges. Sauce goes in next. Deep flavors. Sour, sweet, salty and a little kick. One of my favorite noodle dishes mixed with one of my favorite libations. You know this was a winner in my book! I ate two huge bowls of this. 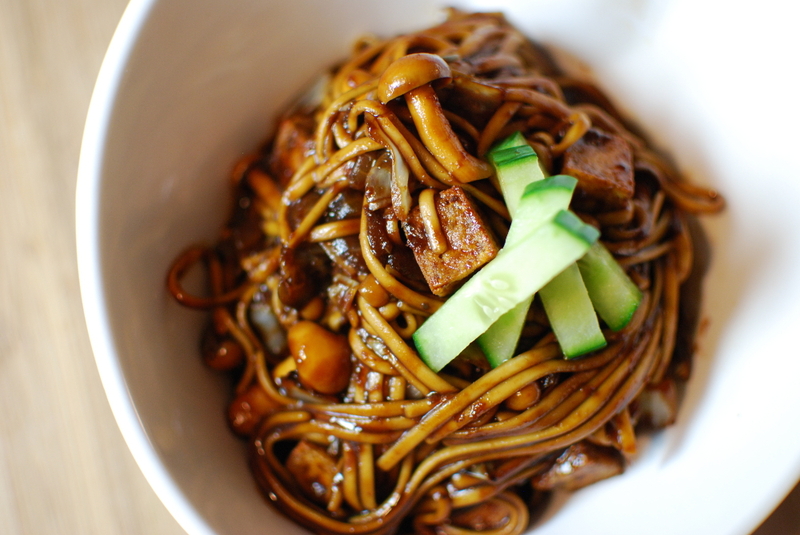 I slightly oversauced the noodles, so watch out for that if you make this dish. I was able to leave most of the extra sauce in the serving bowl though. The cucumbers were a nice fresh contrast to the deep dark flavors of the sauce. 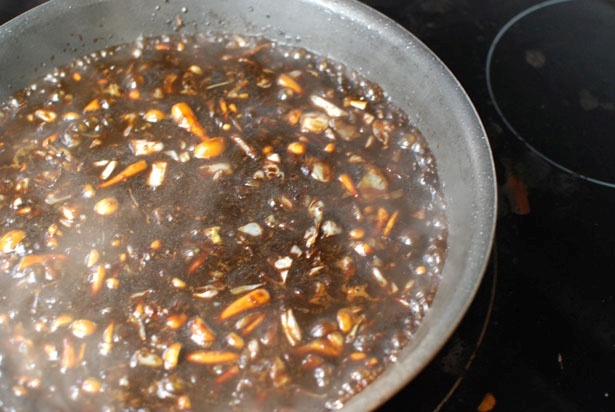 For the sauce, mix ½ cup whiskey, ½ cup lemon juice, and ½ cup fermented bean paste. 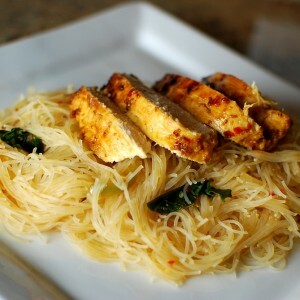 Add a squeeze of honey and sriracha and mix it all together. 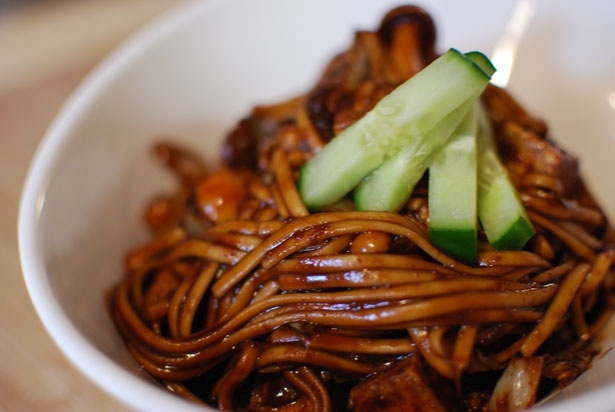 Find some Korean wheat basted noodles (mine were made in Korea and called "Oriental style"). 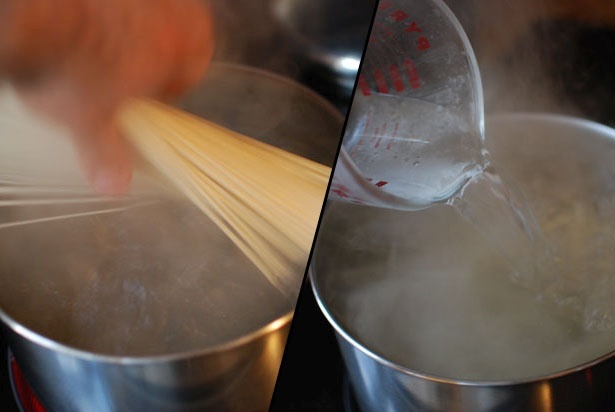 Drop them into boiling water and stir, kill the heat and add a cup of cold water. allow to sit about 10 to 15 minutes until tender. Strain, rinse well, and set aside. 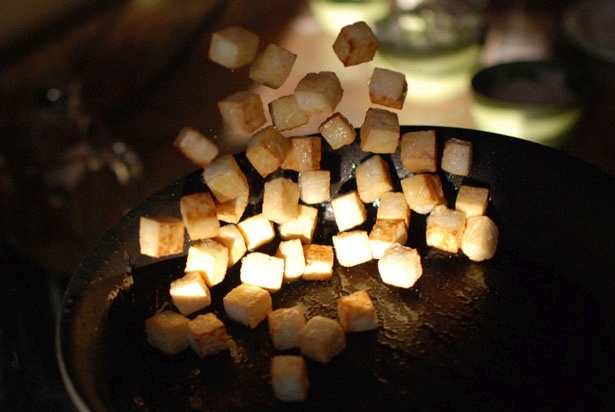 Fry some cubed tofu to brown well on all edges. On high heat brown the edges of a diced onion and cabbage(about a cup each). 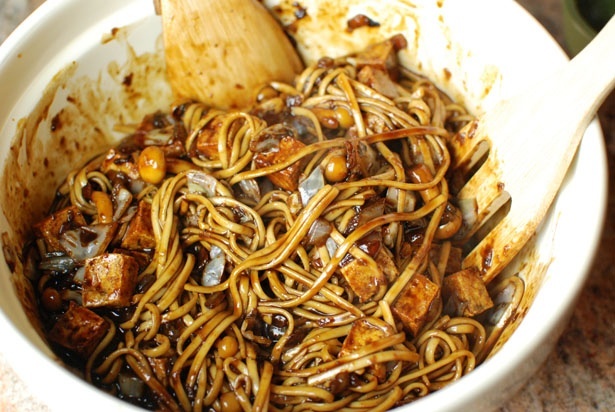 Add a heaping tablespoon of ginger-garlic paste and a handful of enoki mushrooms and mix well. Cook 2 minutes. Add the sauce and boil for about 5 minutes. 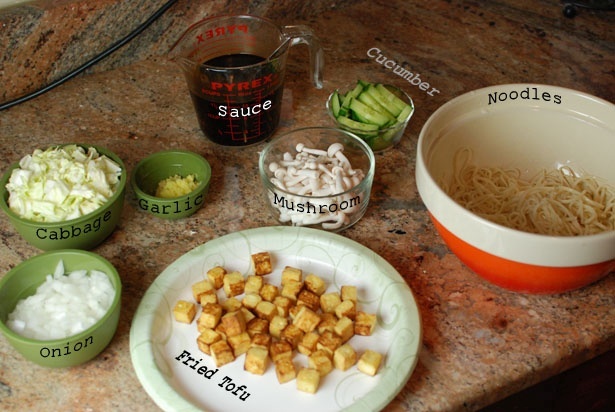 Pour over noodles and add fried tofu. Mix well. Serve and garnish with sliced cucumber. NOTE: I slightly over-sauced this. I had a huge bag of noodles and just had to sort of grab a handful and hope it was enough. if you have enough noodles for 4 people, it should be perfect for this amount of sauce. 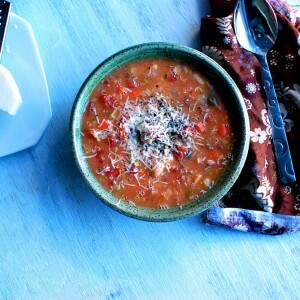 If you are unsure, pour the sauce on slowly while mixing to make sure to apply the right amount. 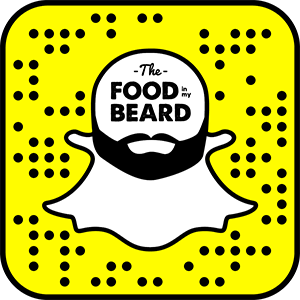 Cheers, can’t wait to try this, will probably be difficult tracking down korean bean paste in Ireland, but I think it’ll be worth it!